I did it. 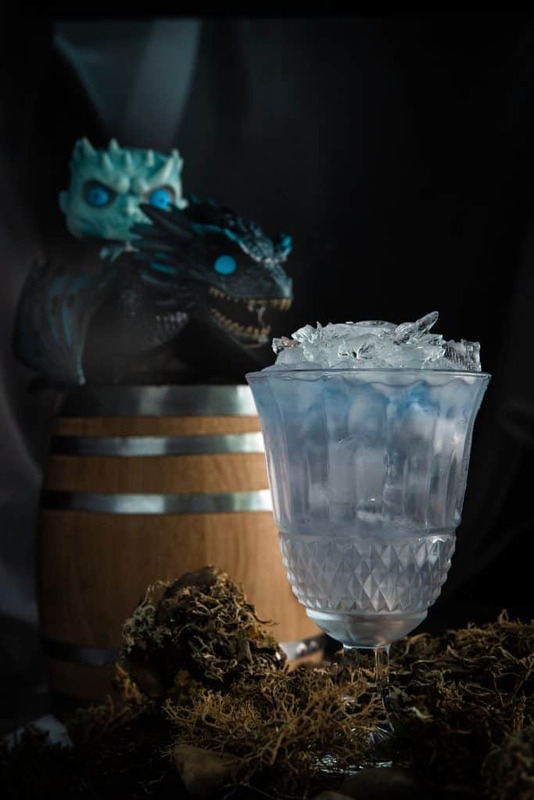 I joined the bandwagon of nerds (myself included) that have been dying for this final season of Game of Thrones to air, and what better way to celebrate my years of love for the Throne than with a themed cocktail! I did my best to connect every ingredient with a component of the show. With Winter finally here, I knew I had to incorporate the overlying theme of the who is going to rule the Throne with the doom of the Night King. 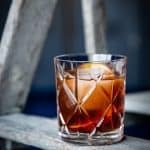 You may want to shake up this cocktail and take a seat back and read. There are SO many theories when it comes to GoT, one pertaining to Bran being the actual Night King. I wouldn’t say that, but we can bet he will take over the Night King’s body, and the reality is, that’s the only way I see the Night King not taking the throne. Nevertheless, THERE WILL BE BLOOD AND ICE, in every episode, so with this concept in mind, I wanted to incorporate both in a glass. Much of the ice component is for aesthetics, but I’m not about to use Blue Curacao that isn’t necessary or disrupts the balance of the cocktail. That’s when the all forgiving Butterfly Pea Flower came into play. If you’ve never worked with this product before, think of it as using dried hibiscus tea pedals to create that gorgeous pink/purple hue, but it’s much more delicate on the palate. It’s very similar in taste to an unsweetened green tea. Because I needed the base of the cocktail to be fairly clear, I needed the predominate spirit to be clear, and that’s when the White Owl Whisky came to mind. For one, it’s a great product and CANADIAN! Whoop! It’s a Whisky that’s been aged in charred bourbon oak, but its colour has been stripped away to create this crystal clear product. 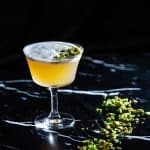 I used White Owl before in the Not so Vesper Martini because this whisky has a way of being delicate and then open up its palate to include smoke, toffee and a ton of vegetal notes. It’s the biggest most wonderful surprise, much like our GoT. I had HEAVILY debated using other clear spirits such as Tequila, Gin or Vodka, but the reality is, I wanted to create a product that I’m assuming they would have. Wine and Beer are constantly drunk on Game of Thrones, but I can almost bet that Whiskey was a close second. 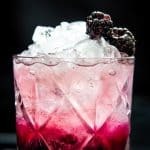 With Fire, comes smoke, and well that is something very easy to incorporate into a cocktail. Pick up either a Mezcal or a peaty Islay Scotch. Since I was going the scotch route, I decided to use a hint of Laphroaig 10 year. 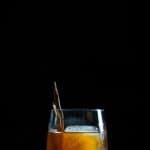 If you’re not a scotch person, I highly doubt you will love this. I definitely find that must people learn to love a peaty Islay expression, and Laphroaig is one of those spirits that is constantly misinterpreted. It’s a completely different spirit once it has sat in the glass for 2 minutes, and if you put a drop of water, oh well, that’s a whole new ball game. Now there are other great options, if you don’t want it overly peaty, pick up one of the Highland Parks, but I also LOVE anCnoc Peat Master. So actually scratch that, if you want a OUTSTANDING peaty scotch, you need to try anCnoc. Again, a few drops go a long way for this cocktail, but lucky for you this product won’t just collect dust on your shelves. 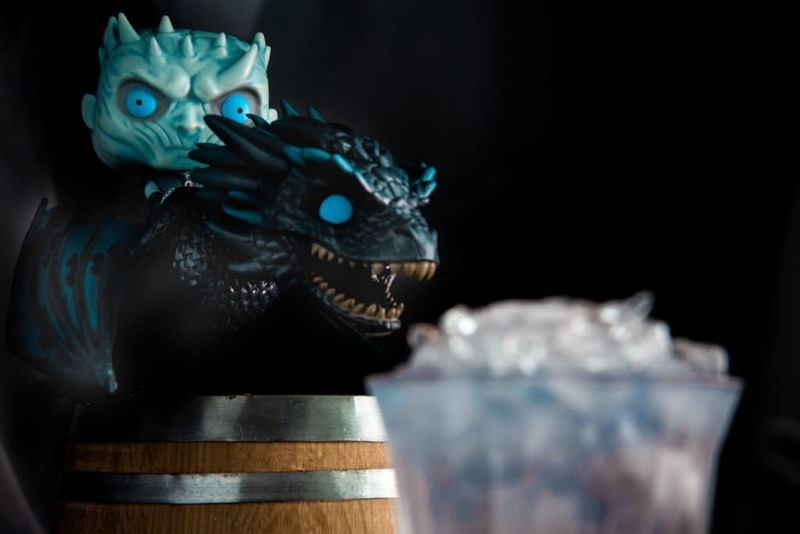 Well GoT has us edging on our seats as the Night King turned a fire breathing dragon into an ICE BREATHING DRAGON (see the cute little Funko Pop Night King in the picture?). I’m going to think there will still be a ton of fire with 2 other Dragons flying around, so with this component I wanted it to slide into the cocktail, much like a port or wine in a New York Sour. Now wine is something that is typically drunk on the show, so what I decided to do was create a spiced Red Wine Reduction (pretty much a mulled wine) to represent the Fire and Blood. If you want to learn how I put the reduction together, follow the link attached above. 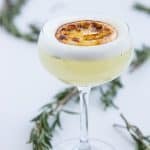 The fire isn’t the only component that uses Wine in this cocktail, I actually use it 3 times – once in the reduction, in Sherry and in Dry Vermouth. I finally got a chance to open up the Gonzales Byass Nutty Solera and I can’t tell you how much I LOVE THIS SHERRY! It’s one of the best ways to introduce yourself to Sherries, which if you’re unfamiliar is a fortified wine coming out of Spain. I wouldn’t be surprised if the Solera System was something done during the time of my make believe world and time period of GoT. All these ingredients are shaken up to give you this wonderfully spiced cocktail, because you have to admit, this is one HELL of a mixture to represent one HELL of a show. I ranted. So I’m sure you’re very thirsty right now, so let’s get to the recipe! 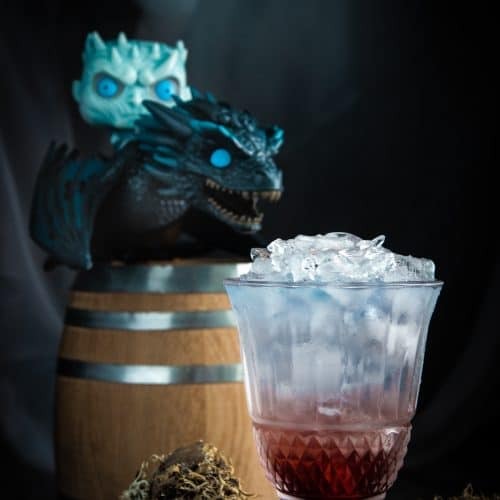 A Game of Throne’s inspired cocktail that combines White Owl Whisky, with anCnoc Peat Master Scotch, Nutty Solera, Dry Vermouth and Honey with a spiced Red Wine Reduction. Grab a shaker and fill with all the ingredients (except Red Wine Reduction) and give this a short shake with ice. Strain over crushed ice and slowly pour the red wine reduction on top. 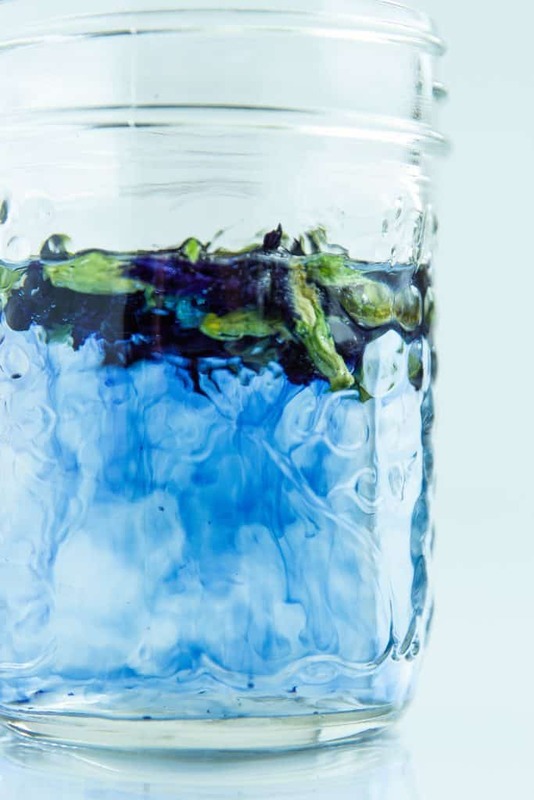 To infuse the White Owl Whisky, simply place a tbsp of dried butterfly pea flowers into a cup of the whisky. Let this sit for 5 minutes before straining. The Honey Syrup is just as easy. Simply combine 1 part honey with 1 part boiled water and stir until blended! If you’d like to learn how to create the Red Wine Reduction, make sure to follow the instructions in the link attached! The only reason I stated this recipe as expert is because it comes with a lot of layers and you do need a little bit of patience. But once all the components are complete, this is very simple to throw together at a moments notice!